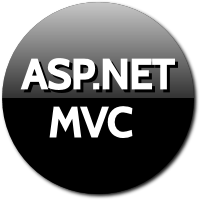 Html.CheckBoxFor is the helper used to render CheckBox in MVC3 Razor. This helper helps in model binding. It binds the control with model's property. This overload accepts the linq expression. It binds the control with the model property. In the above syntax, we are biding the checkbox with IsMarried property of model. We have binded the checkbox control with IsMarried attribute. The display name of this attribute is set as name and id attribute. This overload accepts two parameters i.e. the expression and the htmlAttributes object. We can see that the htmlAttributes we have specified in the syntax has been set. This is the third overload, which expects linq expression and htmlAttributes object. In above syntax, we are passing Dictionary object of attributes. The class attribute and id attribute are set according to the object we passed in the syntax.